Today’s Furmanifesto update is a guest piece from Aaron Sternke. Aaron is an artist, producer, studio engineer and performer. 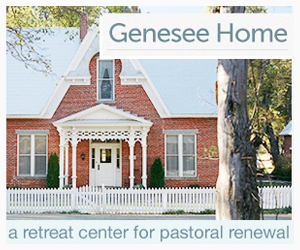 He pastors people through worship and is the Creative Principal at Willamette Christian Church in West Linn, Oregon. Beyond this he is the singer/songwriter for Rend The Heavens, and a friend whom I deeply admire and respect. This past week I began seeing statuses on Facebook singing the praises of American Idol contestant Colton Dixon for singing his “favorite worship song”, “Everything” by Lifehouse, on the show. Most all the information I could read (from my army of mostly-Christian Facebook friends) was that people really liked the performance and that he “had their vote”. Instantly I thought to myself, “Ooh, here’s an opportunity to write something stingingly ironic”, and was excited at the prospect of discussing the idea of “using God to become popular”. Sermon illustrations flashed through my mind. I didn’t particularly like Colton. I didn’t like that his sister tried out for the show and he got through instead. I didn’t think he was that great a singer, yet the judges heaped compliments on him. Worst of all, he was from Nashville, and his look and image reminded me of everything I wanted to forget about that town (I lived there for 3 years). So imagine my surprise when I actually looked up and watched the performance online, and was struck by how authentic and honest he seemed doing it. More than that, I was struck by my own quickness to judge someone, and my almost giddy relishing in pointing out someone else’s “hypocrisy”. If you saw the performance, you may or may not have liked it, but that’s not really the point. For me, it was convicting. 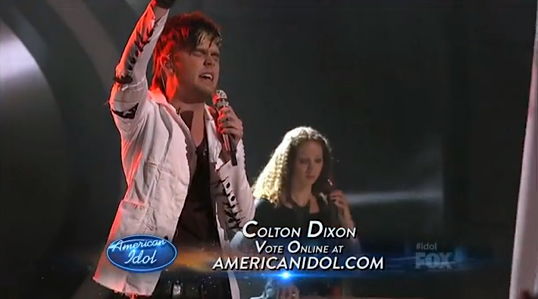 I realized in that moment that my over-critical nature was the problem, not Colton Dixon. I was pointing at him, but God was pointing at me. God has been speaking to my heart a lot lately on the subject of criticism. Though I’m not the man I once was, skeptical of any church, jaded and cynical, there are still remnants of that old, critical Aaron hiding inside, and when they come out, it’s ugly. I think as believers we need to constantly re-examine our hearts in this way. The Holy Spirit produces Christlike character in each of us, but it takes time… and real character is revealed a lot of the time in these seemingly small things – how we react when we don’t get our way, how we respond when we’re inconvenienced… it’s in these everyday situations that the real “us” comes out. If we really want to be like Jesus, we’ll care not only about “things we’re doing” for Him, but we’ll run to Him when we see discrepancies between who we are and who He is. For my part I hope I can humble myself and come to Jesus daily with this in mind. Thanks for the kind words Kimberly! The real problem is over here too (me). Thank you for your words of authentic reflection, Aaron.